The Community Table's Prize #2 has finally been unlocked by the players of ChefVille! Go to the Community Table now to receive 10 Free XP! 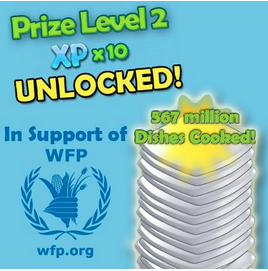 The more people who play ChefVille the faster Zynga will donate to the World Food Program, so get cooking!